Aimee Agresti is a novelist and entertainment journalist. A former staff writer for Us Weekly, she penned the magazine’s coffee-table book Inside Hollywood. 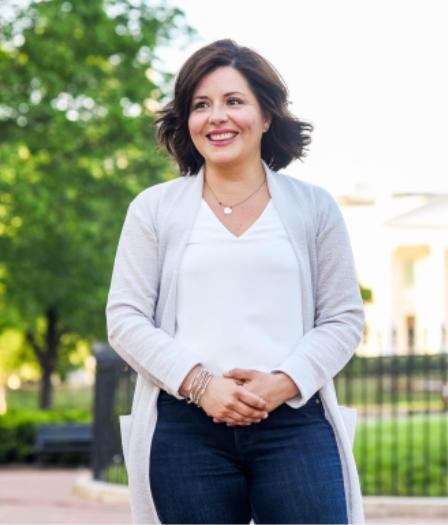 Her work has also appeared in People, Premiere, DC magazine, Capitol File, the Washington Post, Washingtonian, the Washington City Paper, Boston magazine, Women’s Health and the New York Observer. Aimee has made countless TV and radio appearances, dishing about celebrities on the likes of Access Hollywood, Entertainment Tonight, E!, The Insider, Extra, VH1, MSNBC, Fox News Channel and HLN. The author of The Gilded Wings trilogy for young adults, she graduated from Northwestern University with a degree in journalism and lives with her husband and two sons in the Washington, DC, area. Beck Dorey-Stein was a stenographer in the White House from 2012 to 2017 under U.S. President Barack Obama She is a native of Narberth, Pennsylvania, and a graduate of Wesleyan University. Prior to her five years in the White House, she taught high school English in Hightstown, New Jersey; Washington, D.C.; and Seoul, South Korea. FROM THE CORNER OF THE OVAL is her first book. Stephen Goodin is the founder of Commonwealth Energy Ventures (CWE Ventures), a boutique consultancy focusing on new business opportunities in the energy innovation space. The firm’s partnership work has spanned areas such as innovative public sector utility-scale solar, marketing technologies for use in energy efficiency and community solar, energy storage software and systems, and financial technology offerings. Stephen served Bill Clinton as The President’s Aide, working directly in the White House with the President and managing the President’s daily schedule throughout visits to more than 150 domestic cities, and over 30 foreign countries. Stephen’s career in the public sector also included work for a U.S. Congressman, and leadership positions with the 1992 Clinton-Gore presidential campaign, and at the Democratic National Committee (DNC). Stephen graduated with honors from the University of Texas at Austin, with a degree in psychology. He completed Harvard Business School’s Executive Program in Nonprofit Management, and studied finance at the City University of New York’s Baruch College. He lives in northern Virginia with his wife and two sons. David Kusnet was chief speechwriter for former President Bill Clinton during the 1992 campaign and the first two years of the Administration. Kusnet was also a speechwriter for former Democratic presidential nominees Walter Mondale and Michael Dukakis. He has written speeches for other leaders from government and politics, labor, business, education and civil and human rights organizations. Kusnet has authored or co-authored five books: Speaking American: How the Democrats Can Win in the Nineties, which was considered the rhetorical handbook for the Clinton campaign in 1992; Love the Work, Hate the Job: Why America’s Best Workers Are More Unhappy than Ever; America Needs a Raise (with former AFL-CIO President John Sweeney); Talking Past Each Other: What Everyday Americans Believe, and Elites Don’t Get, about the Economy, with Larry Mishel and Ruy Teixeira; and To Build New York: 100 Years of Infrastructure for the General Contractors Association of New York. He has also written many articles for leading newspapers and magazines, including the New York Times, Washington Post, Los Angeles Times, New Republic and American Prospect. Kusnet is a freelance speechwriter and consultant. He has been communications director of People For the American Way and field communications director for the public employee union AFSCME. The first Chief Speechwriter for Vice President Al Gore in the White House, Bob Lehrman has spent much of his career writing speeches for politicians, corporate and non-profit CEOs, and celebrities—as well non-fiction books, award-winning novels, short stories, magazine cover stories, and op-eds in The New York Times, Washington Post, USA Today and many other places. He has taught as an Adjunct at American University since 1998. He is the author of The Political Speechwriter’s Companion: A Guide for Speakers and Writers and appears frequently on radio, TV, podcasts, webinars, and other campuses to talk about speech. Bryan Monroe is a Professor at Temple University’s Klein College of Media and Communication. Before joining Temple in 2015, he was the Washington Editor, Opinion & Commentary at CNN and the editor of CNNPolitics.com. His work at the network included editorial planning and content strategy across all online platforms for CNN in its Washington, D.C. bureau and led the digital coverage of the 2012 re-election of Barack Obama. He also served as the assistant vice president of news at Knight Ridder Newspapers, where he helped lead journalists at the Biloxi Sun Herald to the 2006 Pulitzer Prize Gold Medal for Public Service for their coverage of Hurricane Katrina. He is also the Founder and Managing Director of the Monroe Media Group, a Washington, D.C.-based media strategy, crisis communication and personal branding firm. He was president of the National Association of Black Journalists (NABJ) from 2005-2007 and is incoming co-chair of the International Women’s Media Foundation (IWMF). 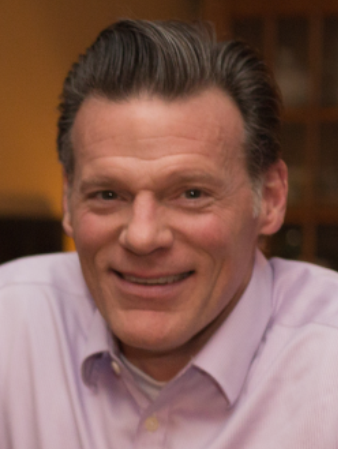 He is the co-author of “Truth Counts: A Practical Guide for the News Consumer” (published by CQ Press) and was the personal editor of “Unhinged: An Insider’s Account of the Trump White House,” the tell-all #1 New York Times Bestseller by former White House aide Omarosa Manigault Newman (published by Simon & Shuster). Gautam Raghavan advises progressive organizations focused on securing political power and social change. 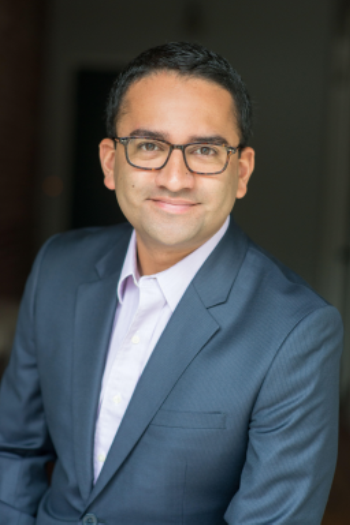 From 2014 to 2017, Raghavan served as Vice President of Policy for the Gill Foundation, where he managed multi-million dollar investments to secure federal and state-level policies that ensure a level playing field for all lesbian, gay, bisexual, transgender, and queer (LGBTQ) Americans. From 2011 to 2014, Raghavan served as President Barack Obama’s liaison to the LGBTQ community as well as the Asian American & Pacific Islander community, and from 2009 to 2011, as Acting White House Liaison for the U.S. Department of Defense and as Outreach Lead for the Pentagon’s “Don’t Ask, Don’t Tell” Working Group. Prior to joining the Obama Administration, Raghavan worked to strengthen the progressive movement and expand the Democratic Party as director of the 2008 Obama campaign’s Asian American Finance Committee and as Midwest Finance Director for the DNC under Chairman Howard Dean. He is the editor of the newly released anthology West Wingers: Stories from the Dream Chasers, Change Makers, and Hope Creators inside the Obama White House. Lynn Rosenthal was the first-ever White House advisor on violence against women. At the White House, she also represented the Vice President on the White House Council on Women and Girls and cochaired the President’s Working Group on the Intersection of HIV/ AIDS, Violence Against Women and Girls, and Gender- Related Health Disparities. She has over twenty- five years of experience advocating on behalf of women, including serving as executive director of the National Network to End Domestic Violence from 2000 to 2006. Karin is the author of the historical fiction novels The Diplomat's Daughter and The Gilded Years (soon to be a major motion picture), as well as The List and The Price of Inheritance, all published by Atria Books, an imprint of Simon & Schuster. A former Politico reporter, her work has appeared in dozens of publications including The Washington Post, The Chicago Tribune, The Miami Herald, Newsday, The Philadelphia Inquirer and in the anthology Crush: Writers Reflect on Love, Longing and the Lasting Power of Their First Celebrity Crush. She lives in Washington, D.C. with her family.